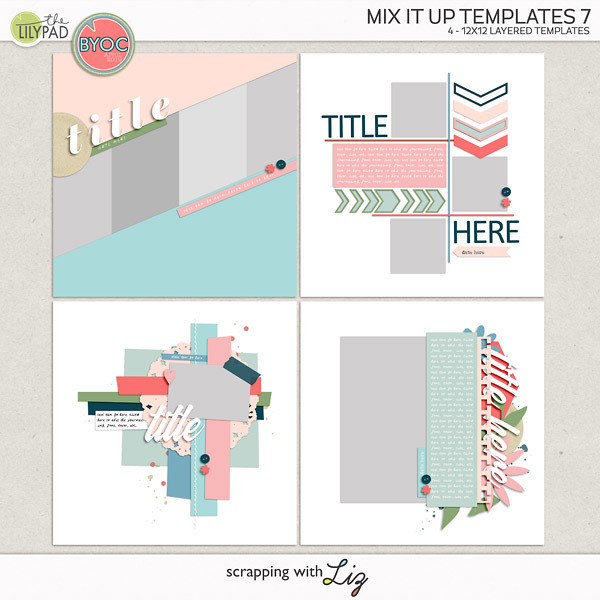 Scrapping with Liz: Document Your December - Pages to Get You Started! 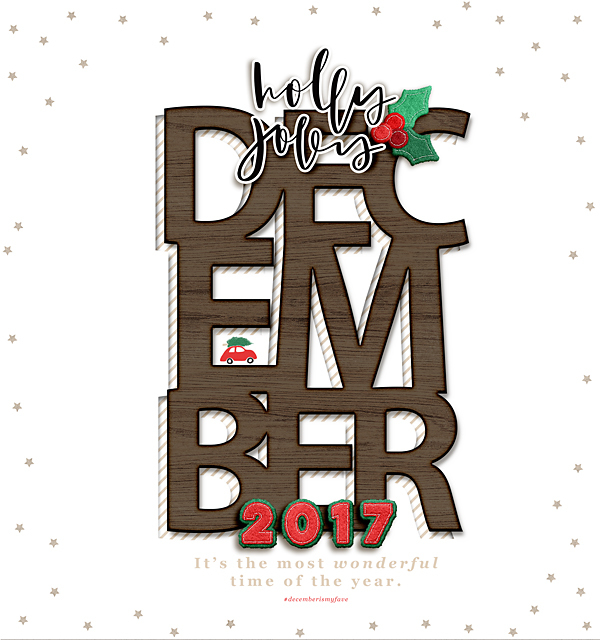 Document Your December - Pages to Get You Started! Document Your December is about to start over at the Lilypad. This is the first year that I'm going to try to participate by documenting a photo/memory every day leading up to Christmas. 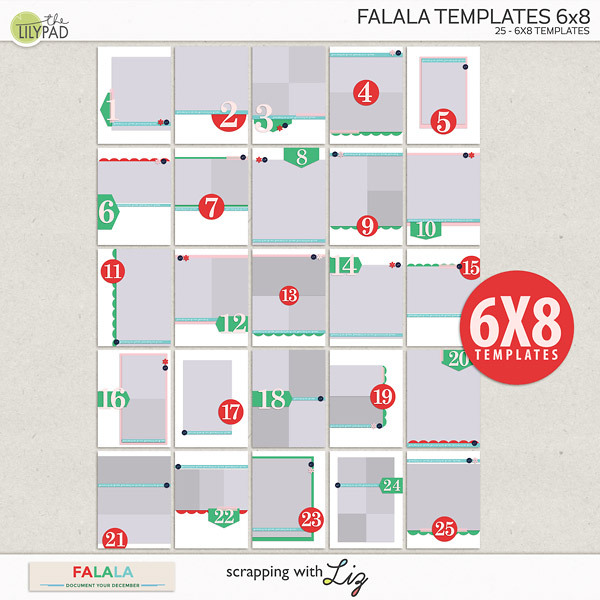 I'm going to use my Falala Templates 6x8 size and then other coordinating DYD products from The Lilypad. I'm going to keep it nice and simple. I've gathered a few inspiration starter pages to get ideas flowing. You can click on the images to get full credits in the gallery. 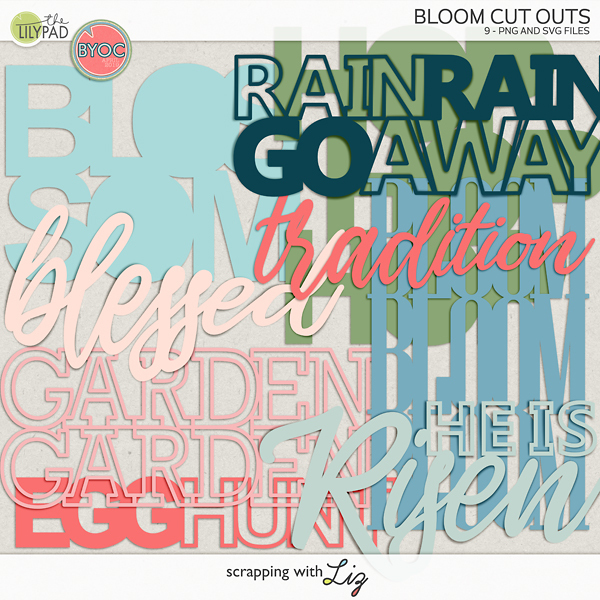 Most of them use my Falala Cut Outs (these make great title pages!). And this next page (pictured below) uses my new Advent Template. 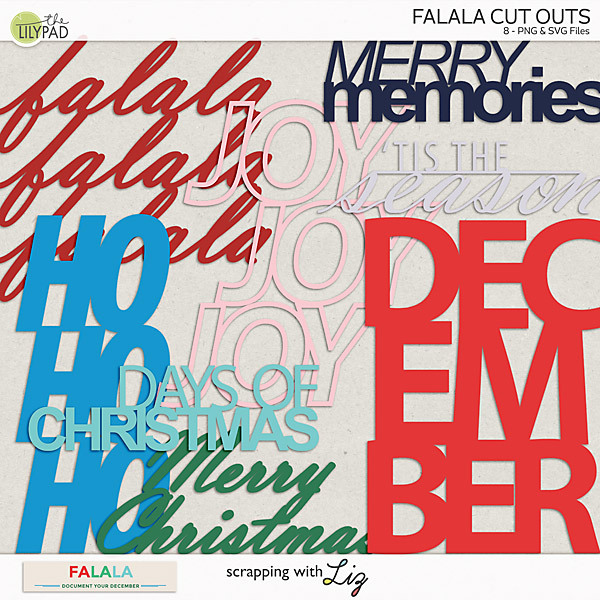 I think this template would be great for those daily Document Your December photos. 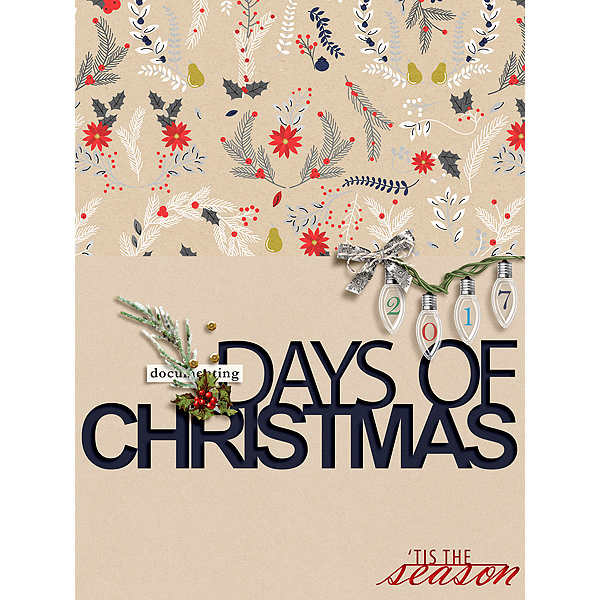 Angela pre-made this page and she's going to use it document different ornaments from her Jesse tree. Such a simple way to document beautiful memories. 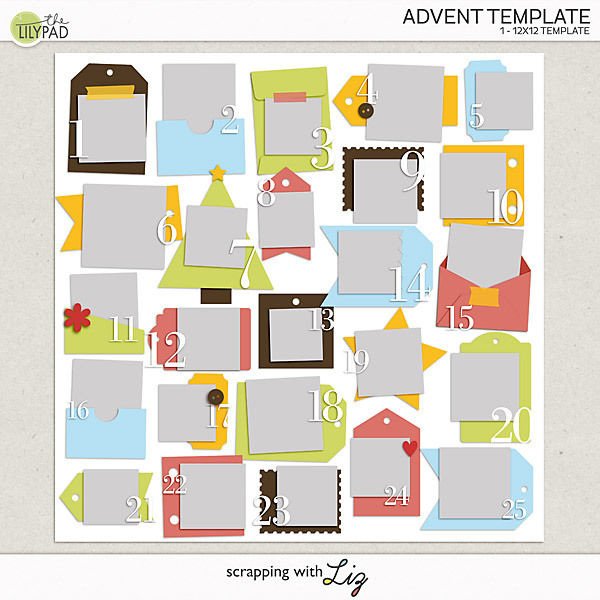 I thought about using the Advent Template for my Document Your December. It would be a nice addition to our family scrapbook. 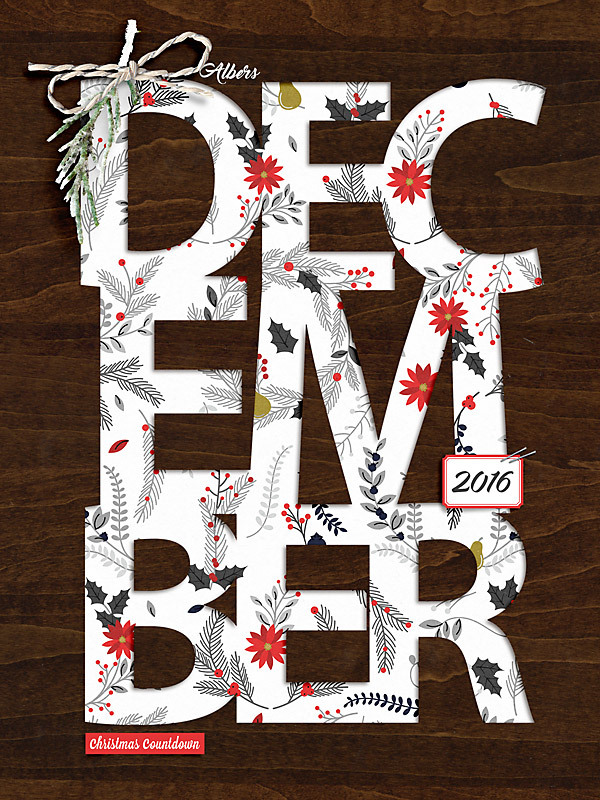 So, how many of your are going to attempt Document Your December this year?